James Akers: Lively, refined lute playing and questing musicianship. 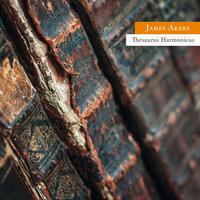 James Akers is a UK based performer on early plucked instruments including lute, guitar and theorbo. James was born in Scotland and began playing guitar at the age of 10. Initially playing rock and blues then attempting to play jazz and finally settling on classical guitar, he was largely self-taught before having lessons with Robert Mackillop at Napier University, Edinburgh. Whilst at Napier he turned his attentions to playing the lute and pursued this, at the Royal College of Music, London, studying with Jakob Lindberg. Adding theorbo to his expanding instrument collection, James continued his studies at Trinity College of Music with 크레이지슬롯 사이트Jacob Heringman and David Miller with additional lessons and advice from Paul O'Dette and Elizabeth Kenny. Having settled on the period instrument path James continued accumulating instruments and exploring the music of the 16th to 19th centuries, with occasional forays into contemporary music. Following a Junior Fellowship at Trinity College of Music James began pursuing a varied professional career. 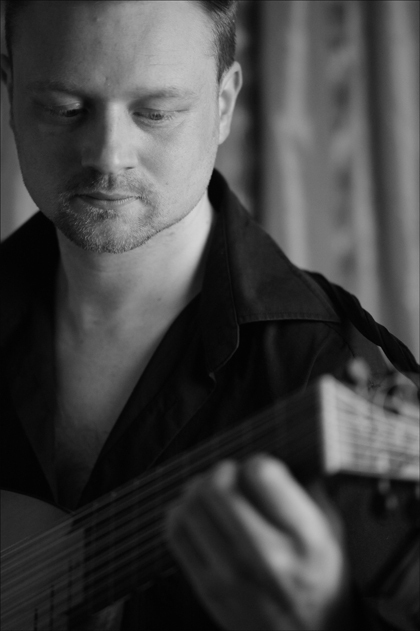 As a soloist he has performed mostly in the UK and Scandinavia giving recitals for The Yorke Music Trust, Ullapool Guitar Festival, Classical Guitar Retreat, Exeter Guitar Festival and the Copenhagen Renaissance Music Festival. He has accompanied leading Early Music singers including Dame Emma Kirkby, James Bowman, Michael Chance, Miriam Allan, Gabriela Di Laccio and Sam Bowden and performed with many early music ensembles such as I Fagiolini, Ex Cathedra, Fretwork, The Parley of Instruments, The Hanover Band, Sounds Baroque and the Dunedin Consort. As a continuo player James has worked for major opera companies, English National Opera, Welsh National Opera, Opera North and Innsbruck Festival Opera and orchestras and chamber groups including The Scottish, Irish and English Chamber Orchestras, Northern Sinfonia, the Royal Scottish National Orchestra, The Scottish Ensemble, with trumpeter Alison Balsom, and ventured into other styles with Damon Albarn, the Sonnets and the genre-hopping ensemble Il Festino. James has performed on numerous recordings; a few film soundtracks, including Ridley Scott's Robin Hood and Justin and the Knights of Valour; several theatrical stages, including Shakespeare's Globe Theatre and the Barbican, and broadcast for the BBC, France Musique and RTE Lyric, Ireland. James teaches early guitar, lute and theorbo at The Royal Conservatoire of Scotland, Glasgow and is a visiting lecturer at Aberdeen University. Although mostly concentrating on performing and teaching, James has occasionally indulged in research, exploring the domestic music making of Samuel Pepys and his 'musical secretary' Cesare Morelli, the polyphony of Scottish Renaissance composer David Peebles and, most recently, the Scottish influence on European guitarist composers at the beginning of the 19th century. James Akers lives in Epsom, England. Tagged as: Classical, Renaissance, Instrumental, Composer: Jean-Baptiste Besard, Composer: John Dowland, Composer: Lorenzino Romanus, Lute.